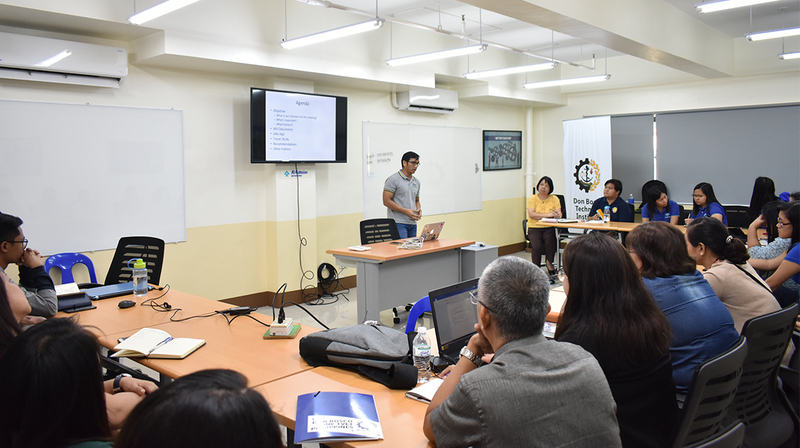 The Registrars and Industry Liaisons Officers, External Relations Officer and Industry Coordinators of Don Bosco TVET Centers in the North and South met last January 14, 2019 at Don Bosco Technical Institute Makati City. The Registrars discussed the Management Information System of the TVET Centers and how to efficiently update the National Office with regards to student enrollment and graduates. Meanwhile, the Industry Liaisons Officers, External Relations Officer and Industry Coordinators met to standardize the procedure of the DB One TVET Jobs mobile application. The forum also discussed and set a commitment to finish the Tracer Study in each individual setting that would gather information from students who graduated from 2016 to 2018.